Widmer. Growing up he was a hard worker on the farm and helped build a new home for the family. He served in the United States Navy Reserves at the end of WWII where he helped build 90 foot tall communication towers in Hawaii. Vernon was a member of the Church of Jesus Christ of Latter-day Saints and held callings in the Sunday School organization and the Elders Quorum. He married Velma Nye on June 6, 1947 in the Idaho Falls temple. They were blessed with 5 children. Vernon and Velma had been married for 61 years at the time of Velma’s passing in 2008. He worked as a milk hauler with his own truck, picking up cans and hauling to Liberty, Idaho. Then in the fall of 1951 they moved to Nyssa, Oregon where they bought a ranch in Cow Hollow. It was his dream to own his own place. 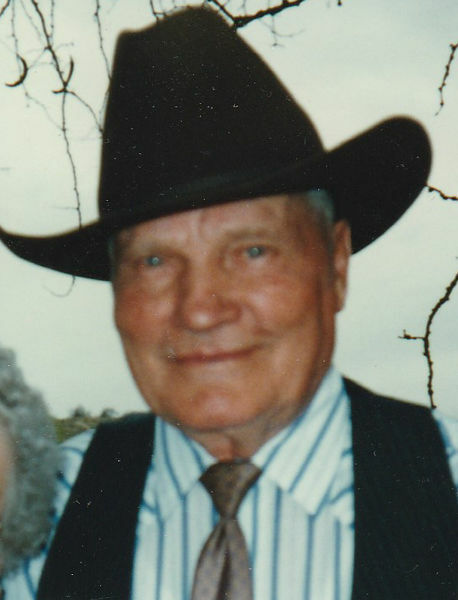 He enjoyed farming, but his real love was raising cattle and quarter horses. During the winters he worked at Amalgamated Sugar Factory where he made a lot of good friends thru the years working there. Vernon is survived by his children, Eldon Widmer (Rosalie), of Syracuse, Utah, LaVernWidmer (Donelle), of Nyssa, Oregon, Milly Shaw (Larry) , of Burbank, Washington, Marlene Chamberlain (Jed), of Prosser, Washington, and Irl Widmer (Teri), of Nyssa, Oregon. 22 grandchildren and 40 great grandchildren and his youngest brother Bruce Widmer. We thank the staff at Nyssa Gardens for taking good care of him and put up with his humorous teasing.